Anime Expo is currently underway in North America and while it is an ‘American’ themed event some worldwide announcements can sometimes be made; especially from publishers such as NIS America as the publisher have today announced a selection of new titles that will be making there way to us by the end of 2019. 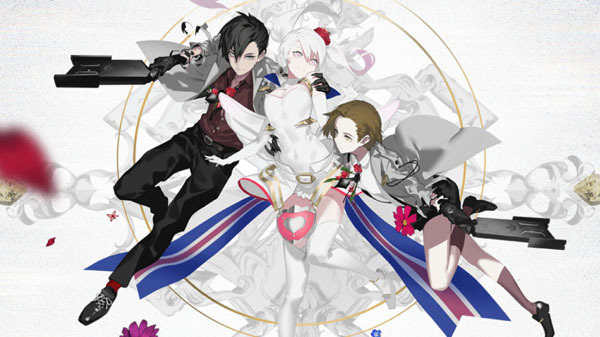 As part of the ‘long-list’ of announcements NIS America revealed that they will be releasing The Caligula Effect: Overdose, The Princess Guide, and RPG Maker MV. What does it take for a princess to save her kingdom? Why, she must take up arms, of course! Commence the Princess Knight training regimen! In The Princess Guide, you will become a knight that takes a princess under your wing. Using your strategic knowledge and expertise on the battlefield, you will train your princess to become a stellar and heroic knight, capable of mowing down hoardes of enemies in the warzone! Aspiring game developers, writers, and creative geniuses can look forward to RPG Maker MV, the latest and greatest game creation software, on PS4, Xbox One and Nintendo Switch in 2019! With hundreds of textures, character designs, monsters, and landscapes to begin your very own story, you can tell tales of valor, high fantasy chronicles, tragic love stories, and more! The sky’s the limit, and we mean it! In addition to these new game announcements NIS America went on provide some additional details to previously announced game. Mui Mui Character Trailer Released .A master of kung-fu and a successor of the Dragon Clan, Mui Mui possesses superhuman strength thanks to her affinity with dragons. She can break boulders and smash through walls with her bare hands! Get on her bad side and you’ll get a taste of her punches! New Character Trailer released. Meet the mysteriously gorgeous Dusk Witch Dronya, her little apprentice Luca (who also happens to always be carrying the mysterious tome Tractatus de Monstrum), and some other interesting faces that you’ll encounter on your journey. New Character Trailer. No Disgaea is complete (see what I did there, dood?) without Flonne, the ditzy angel trainee! Flonne, whose mission was to assassinate the (already dead) King Krichevskoy, tags along with the Netherworld’s prince and his devious vassal Etna to embark on a zany journey of disloyal demons, horse wieners, love (?!) and punching-bag Prinnies!